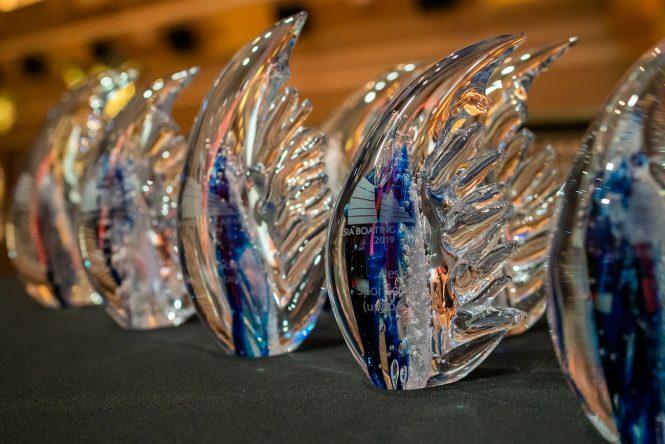 Benetti superyacht SPECTRE, which is available for Mediterranean luxury yacht charters this summer, has won the ‘Best Custom-Built Yacht’ category at the Asia Boating Awards 2019 gala held on the 10th of April at the Capitol Kempinski Hotel in Singapore. 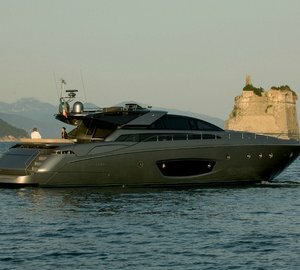 M/Y SPECTRE was constructed at the Livorno facilities and features a hull from Mulder Design and exterior styling from Giorgio M. Cassetta. Together, she represents superior performance and styling, within which the Benetti in-house styling department has seamlessly integrated the glamorous modern interiors where steel and sculpted glazing adds detailing reminiscent of the French Liberty and Art Deco styles. Judges were impressed with her innovative technology and excellent balance between sportiness, efficiency and comfort: SPECTRE has a maximum speed of 21.2 knots, which is 30% faster than a traditional displacement hull. 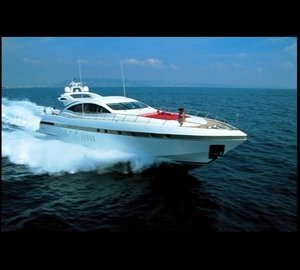 At 12 knots she has an exhaustive cruising range of 6,500 nautical miles, with fuel consumption of between 200 and 238 litres. Total Ride Control® technology by Naiad Dynamics has also been installed on board with the collaborative assistance of Mulder Design, and this is the first time the technology that was designed for commercial applications has been installed into a luxury vessel. The system uses two roll stabilizing fins, two forward pitch control canards and three independently controlled stern interceptor blades to greatly increase comfort and stability on board. 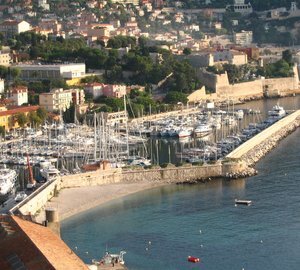 Guests on board also have plenty of amenities for unwinding in such locations as St. Tropez along the Cote d’Azur and the Cinque Terre villages in the Italian Riviera: The sundeck stern has a swimming pool with glass sides and the foredeck places a Jacuzzi beneath the overhang, leaving plenty of space for a helipad on the bow. The accommodation sleeps up to 12 guests over 6 large en-suite cabins, which include a Master suite on the main deck, two VIP staterooms and two further guest cabins. 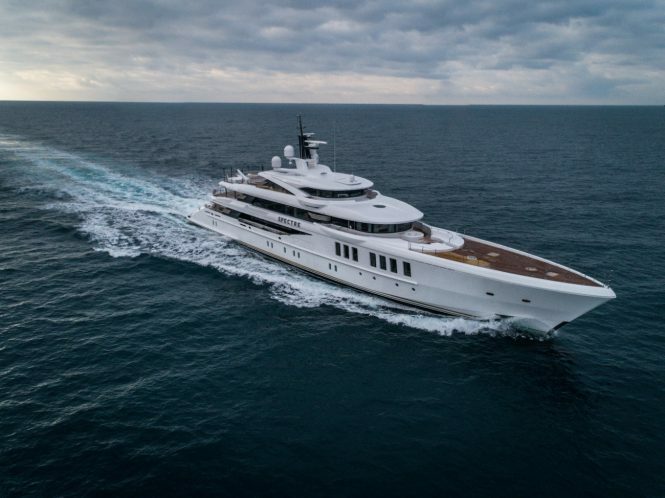 Her award-winning status will make motor yacht SPECTRE an enviable choice for corporate event charters and special event charters, including the Cannes Film Festival, Monaco Grand Prix and the Monaco Yacht Show. 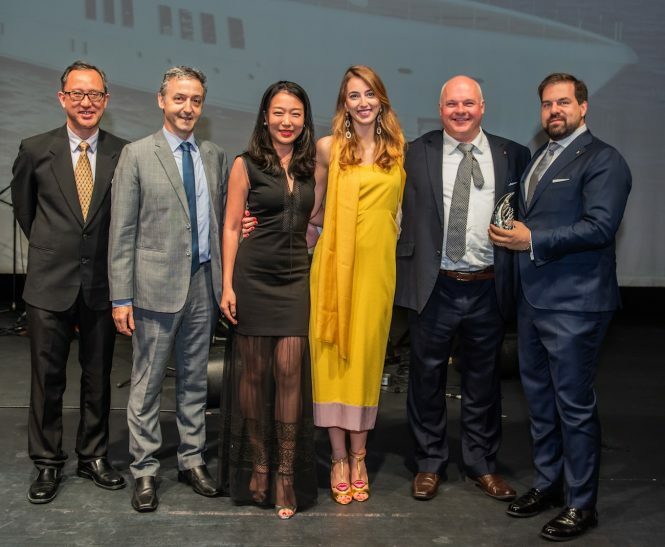 Please contact CharterWorld - the luxury yacht charter specialist - for more on superyacht news item "69m Mediterranean charter yacht SPECTRE wins 'Best Custom-Built Yacht' at the Asia Boating Awards 2019".